Since quite some time, Facebook has been caught up in a wave of litigations. Last year, the social media giant disclosed that an unprecedented security issue impacted almost 50 million user accounts. It was nothing less than a shock to all its users. 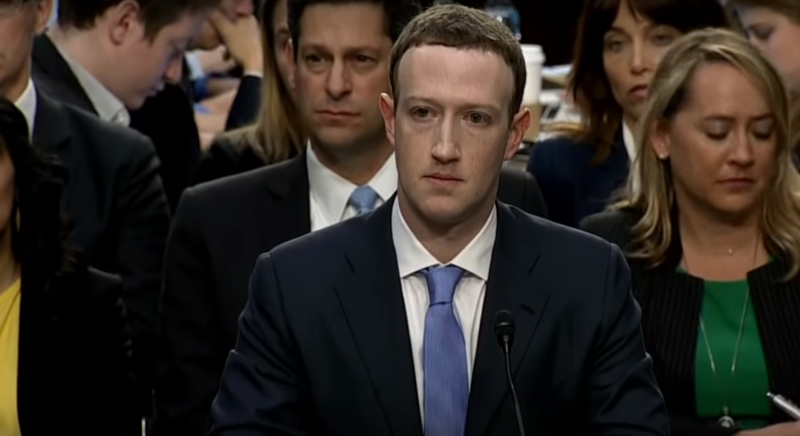 Numerous questions were thrown at Facebook regarding the platforms security strength. Even though Facebook managed to come out of the trouble after a lot of hustle and bustle, it seems, the dark clouds are still hovering over the Menlo Park giant. Recently, on March 8 a proposal from US senator and presidential candidate Elizabeth Warren almost broke up the company. That is not all, to make the situation worse for Facebook CEO Mark Zuckerberg, the company also witnessed the longest-ever outage of its social network and services. Twitter exploded out with memes and troll posts about the outage. Facebook said the outage was caused because of a shift in the setup of its computer servers. “We are very sorry for the inconvenience and we appreciate everyone’s patience,” the company said. But the worst was yet to come. On 15 March 2019, at least 49 people were killed in a mass shootings at two mosques in the New Zealand city of Christchurch. And to the shock, the footage of the massacre was streamed live online on Facebook for almost 17 minutes. According to a source, the bad news spree for Facebook has reached a whole new level; the platform has never witnessed such a fall on shares in more than two months — falling 2.5 per cent to close at $165.98. Furthermore, according to Facebook, the platform has managed to take down and prevent 1.2 million uploads of the video in the first 24 hours. However, 300,000 versions made it to the platform before being removed. It is not only Facebook that was struggling to take the video off from the platform, but Twitter and YouTube also struggled a lot. Twitter removed the original video and suspended the account that posted it, however, the real trouble was to remove copies that have been downloaded from the Facebook live and posted from other accounts. This mishap has completely blown Facebook — the social media giant was witnessing a shower of negative comments —tweets on Twitter reached a whole new level. The complaints are skyrocketing that Facebook has done a poor job of safeguarding data or protecting users from the spread of hate speech, disinformation and live footage of violent events. Over the last few years, social media has grown to become a powerful force for people to voice their opinions and is being now used as a tool to hack data for driving political campaigns and broadcast divisive agendas. And the live-streamed mosque massacre is one such example. The video was streamed for almost 17 minutes and Facebook couldn’t stop it. Being a social media giant, the job of Facebook is not to only about connecting people but also about stepping up for the wrong. This might sound a bit silly, but why couldn’t Facebook inform the Police or the Governing body about what is going to happen. Or the platform could even share the attacker’s location. There are many policies and protocols that the company needs to follow, but are they bigger than doing that can stop a mishap? Let’s step into the shoes of a common man and think for a moment, wouldn’t you expect a strong step from a company that rules social media?